Xenois Soft is a typeface created by Erik Faulhaber and published by Linotype that contains 10 fonts ideal for advertising projects. 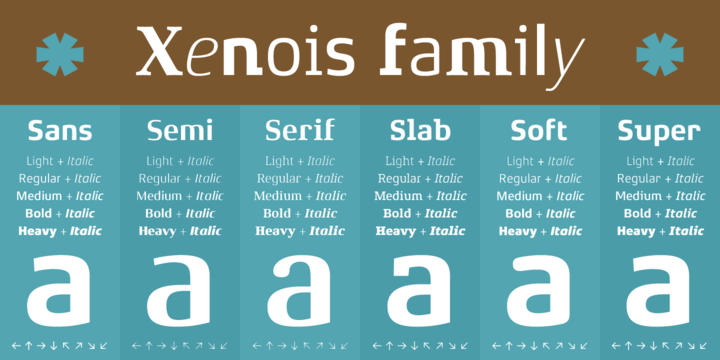 This family font includes Xenois Sans, Semi, Serif, Slab, Soft, Super. A font description published on Monday, December 16th, 2013 in Fonts, Linotype by Alexandra that has 3,167 views.